Gabriela McNamara is a member of the RIFLA board of directors. In May of 2017, she and 3 of her colleagues were awarded the distinction of Narragansett Employees of the Year. In June, she was informed by the Superintendent of the Narragansett schools that she had been chosen Narragansett Teacher of the Year. 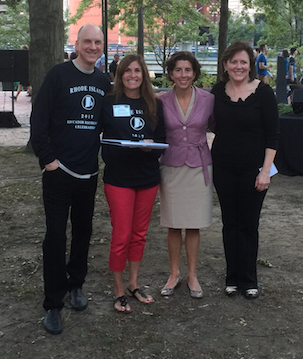 Gaby, along with the other teachers from all of the RI districts, was recognized by RIDE at the September 23 WaterFire, at The RI Educator Recognition Celebration. At this ceremony the teachers received Citations from the RI Senate, and The Speaker of the House, a Certificate of Special Congressional Recognition from Congress, and a Certificate of Special Recognition by Governor Gina Raimondo. All the teachers who received this honor are candidates to start the process for RI Teacher of the Year. The Commissioner of Education, the Governor, a RIDE Representative and James Langevin were part of the ceremony and handed out the awards. Congratulations Gaby! I teach K-5 Spanish at Regional Multicultural Magnet School in New London, CT. I applied for a grant through Fund for Teachers in January of 2016 with a colleague of mine who teaches 2nd and 3rd grade. 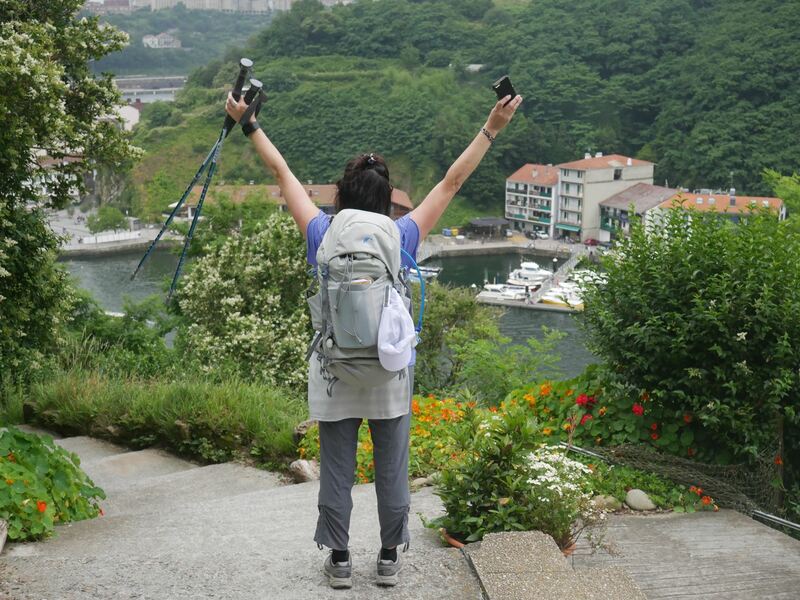 We were interested in making the pilgrimage from Irun to Santiago de Compostela and documenting our experiences along the way in order to build in units of study on language and culture, multiculturalism and social studies. We were notified in April that our proposal was accepted! After the initial shock wore off we planned our route and procured our goods (and selves!) to make the trek. 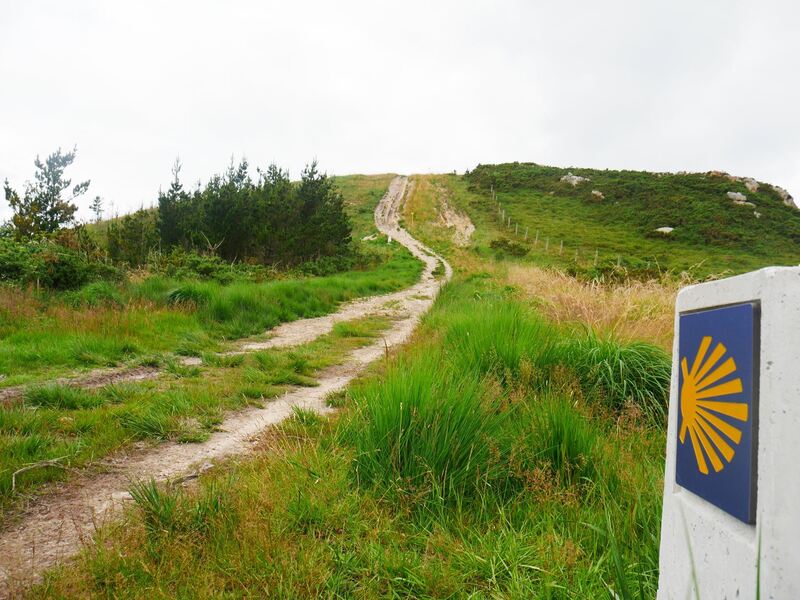 We started in France and spent five weeks walking La Ruta del Norte along the coast until we reached our destination in Galicia. The provinces we walked through, each with their own allure, made indelible marks on us personally and professionally. Now we are collaborating on teaching about the experience in English and Spanish to her current 3rd grade class, using photos we took and video-interviews we conducted of the interesting people we met along “The Way”. Tony Houston’s article “Managing Depth and Breadth in the Business Spanish Course,” published in Hispania, provides a framework for developing a business Spanish curriculum that allows for customization in order to make the learning personally meaningful to the students while at the same time reflecting best practices in second language acquisition, communicative language teaching, mindfulness, task-based and learner-centered instruction. Tony includes insights as to how to create evidence that serves as an assessment of language proficiency as well as content mastery. 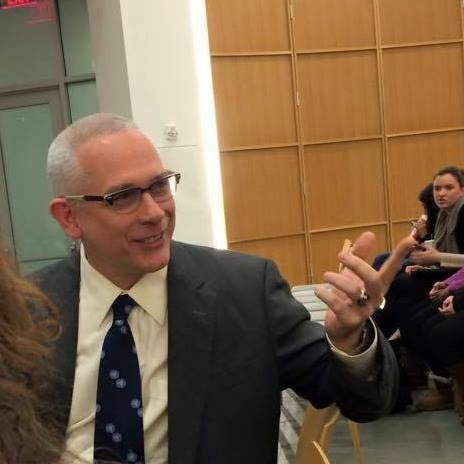 He offers concrete examples of curriculum design, teaching/learning techniques and assessment, along with rubrics to navigate the complicated balance between depth and breadth of content knowledge. Tony’s article can serve as an invaluable tool to an instructor who is developing a business Spanish course. His article is published in Hispania, Volume 98, Number 4 in December 2015.